Ark Conway Primary Academy, a primary school on Hemlock Road, was last week praised in ‘Reading: the next steps’, a report by the Department of Education which sets out evidence on the importance of reading and progress being made across the country. 100% pass rate in the phonics screening check at the end of Year 1 – well above the national average of 74%. The school is also ranked joint first in the entire country for its results in reading – 93% of pupils achieved the highest test levels by the age of seven. These fantastic results have been achieved through a whole-school focus on literacy and the use of Read Write Inc., an innovative programme to teach phonics where pupils learn the combinations of letters which make all the different sounds, and how to combine these sounds to make words. The school focuses on more than just results and works hard to encourage a love of reading, with initiatives such as ‘Drop everything and read’, where everybody in school reads for 10 minutes uninterrupted every day. 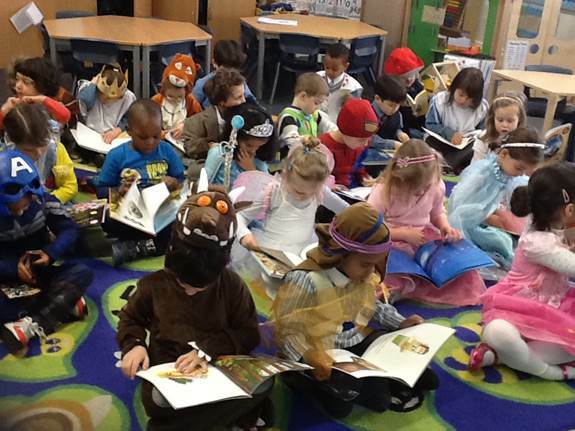 Pupils recently celebrated World Book Day. The school was filled for the day with superheroes, gruffalos and wizards amongst others, and children took part in a book swap and read to each other. Executive Headteacher Damian McBeath, who is also Executive Headteacher of nearby Ark Bentworth Primary Academy and Ark Swift Primary Academy, was recently named as one of the ‘Education Reformers of the year’ by the Education Foundation for his inspiring leadership and achievement of pupils in a new school.